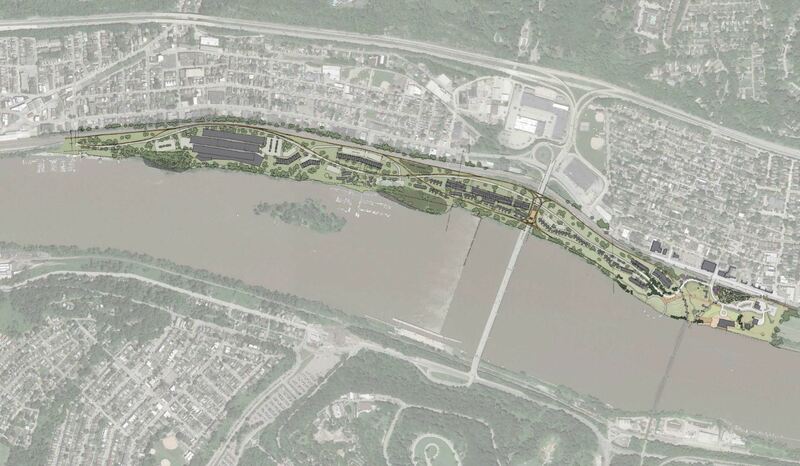 To complete master plan of a mixed-use development and riverfront park for a 47-acre parcel of land situated along the Allegheny River and active railroad lines. 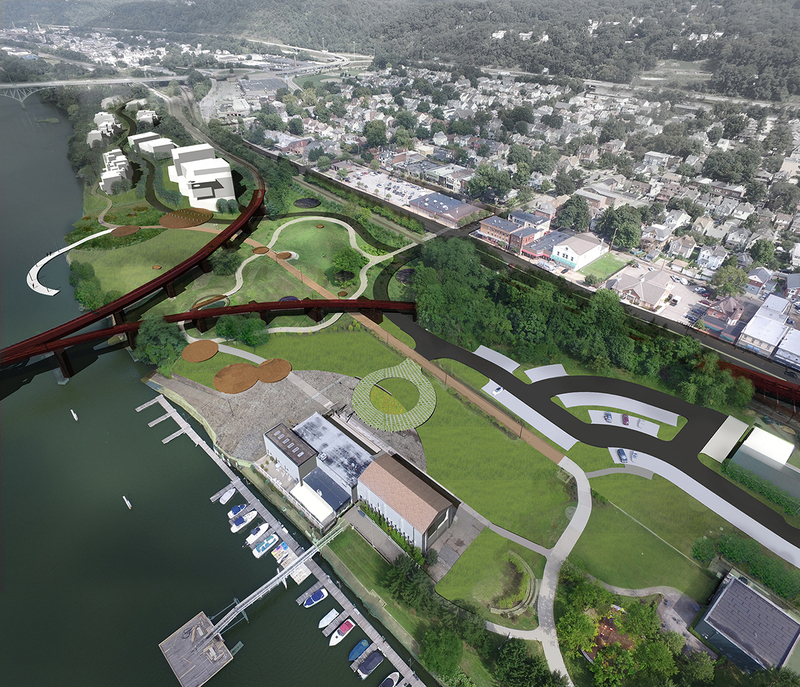 EPD, in collaboration with Riverfront 47 LP and Overland Partners, prepared a Master Plan for the 47-acre mixed use development located on a former scrap yard site along the Allegheny River. 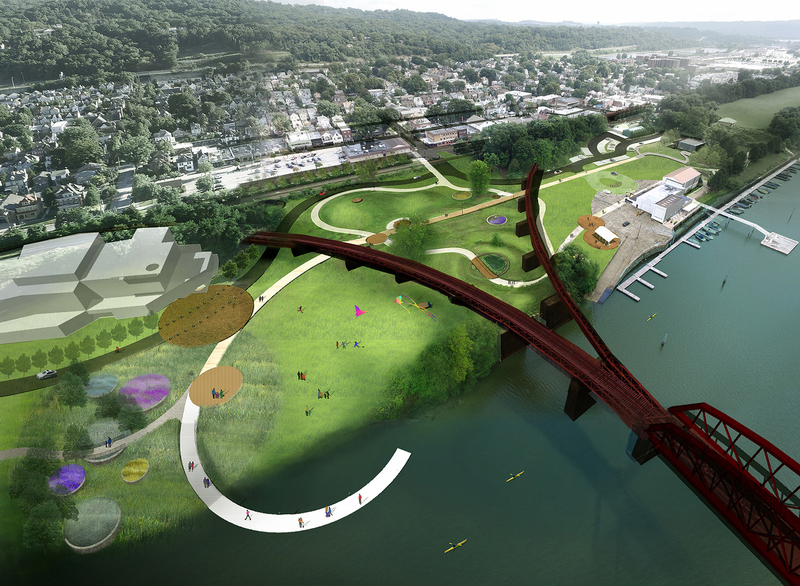 The development will leverage the success of the recently constructed Aspinwall Riverfront Park, which in its 6 years of existence has become one of the Pittsburgh region’s most beloved parks. The park provides the opportunity to create a unique entrance into the proposed development. Moreover, the scrap yard’s industrial past and remnants of the abandoned crane structures provide a memorable form and landscape in which to create a dense, new, urban neighborhood. Additionally, the property is bisected by active railroads, regional sewer infrastructure, is home to six combined sewer outflows and two covered streams. The environmental enhancement of the property has tremendous potential and is the foundation of the Master Plan’s proposed network of green spaces. R47 is located 6 miles north of Downtown Pittsburgh and stretches approximately 1.5 miles within the municipalities of Sharpsburg Borough, O’Hara Township, and Aspinwall Borough. R47 will be the eventual home for roughly 750 dwelling units constructed as detached homes, townhouses and multi-family units. R47 will also look to serve the office and light industrial market. The property encourages an active lifestyle with the integration of the Three Rivers Heritage Trail.